You may buy your SOS 4.8 tickets here. If you have any doubt or requirement, please do not hesitate in contacting us at hola@sos48.com. Thanks and enjoy SOS 4.8 festival! Avenida Primero de Mayo, w/ Avenida del Intendente Jorge Palacios. You may buy your tickets for SOS 4.8 2016 at Ticketea. You may adquire your printed tickets for SOS 4.8 at the post offices of Correos. You may buy your tickets for SOS 4.8 in the points of sale of Entradas a tu alcance. 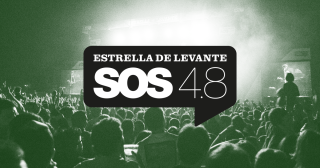 You may buy your tickets for SOS 4.8 in the points of sale of Compra la entrada.